Charset Lib 1.12.2/1.10.2 is a library mod for Charset modules. Charset is a “set of characters”. It provides no functionality on its own and is supposed to be used in conjunction with one or more of the modules. In practice, this refers to a highly modular Minecraft mod, where each module provides an useful, simple implementation of a feature. Audio: an iteration over Computronics’s server->client audio playback system. Decoration: adds a Factorization-esque Poster. Drama: adds the Drama in a Bottle, your pocket drama generator! 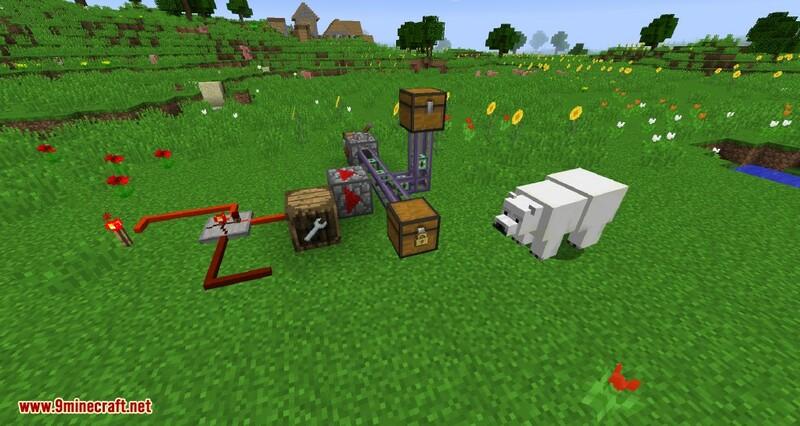 Pipes: adds a minimalist item transport system centered around Pipes and Shifters. Storage: adds Barrels, as well as a way to lock inventories with Locks. Tweaks: adds simple tweaks to enhance the gameplay experience. Wires: adds Redstone Cables and Bundled Cables. Buggy – disabled by default. Wrench: adds a simple wrench which can also rotate multiparts. Make sure you have already installed Minecraft Forge and MCMultiPart Mod.